Deutsche Börse's Regulatory Reporting Hub will team up with Risk Focus and its software subsidiary, RegTek.Solutions. With less than six months to go until the implementation of MiFID II, financial venues and exchanges are bolstering their risk management. 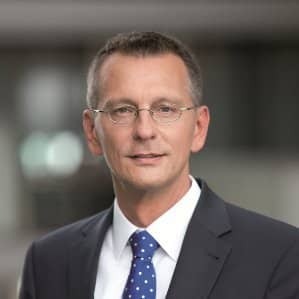 Ahead of the legislation, Deutsche Börse Group’s regulatory reporting hub has inked a new partnership with Risk Focus and its software subsidiary, RegTek.Solutions. The partnership helps address a key area of focus for Deutsche Börse, which will be relying on New York-based RegTek.Solutions for several key considerations for its own Regulatory Reporting Hub. This will include an emphasis on its over-the-counter (OTC) Trade Reporting solution, including RegTek.Solutions’ Validate.Trade product. Validate.Trade is one of RegTek.Solutions’ flagship products. It focuses on quality assurance, automated testing capabilities, validation, and risk management utilities. As a fully compliant solution under MiFID II, the product caters to OTC trades, including swaps, rates, equities, FX, and commodities. The ultimate passage of MiFID II in January 2018 will dramatically reshape the regulatory field in the financial services industry. Though it is MiFID II compliant, Validate.Trade will be tapping Risk Focus and Reg.Tek.Solutions for several specific components. This includes the interpretation of instrument details of OTC derivatives submitted in FpML or XML format as well as a rules engine for applying the regulatory validations, eligibility checks, and deferrals. The eventual goal will be a more systematic and efficient variant of Validate.Trade, emphasizing improved OTC transparency and compliance. “Given the extreme time pressure that firms are under to comply with MiFID II, we are proud to provide a version of Validate.Trade to all users of Deutsche Börse’s Trade Reporting Services that allows them to start testing their OTC Trade Report Submissions straightaway. Our partnership with Deutsche Börse will enable us to combine existing and custom components to bring this important MiFID II Trade Reporting Service to market,” explained Lloyd Altman, Partner, Risk Focus.